Mix all of the burger ingredients together in a large bowl. I just use my hands and squish everything around until it is well mixed. Form into 4 patties. As I said earlier, the burgers are very soft, so you may want to drop them right onto a hot skillet as soon as you shape them. Most of the ingredients in the burgers are already cooked (except the egg) so they don’t need to heat very long, just a few minutes on each side in order to give them a nice sear. Drop the burgers onto lightly toasted whole wheat hamburger buns. Top with sliced tomato and a few crisp leaves of lettuce. I also spread a little light mayo on the top bun, to add some moisture and cut the spice just a little. 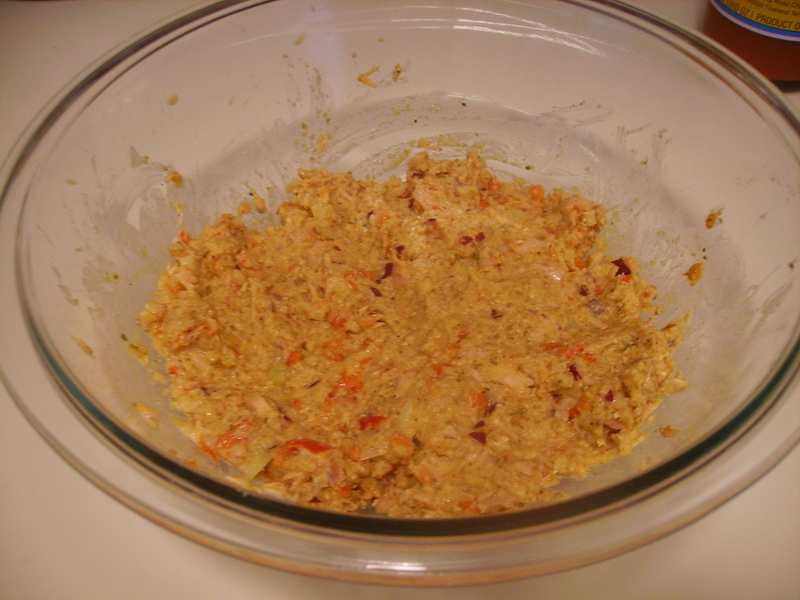 Combine all but the last three ingredients in a bowl and mash together until well blended. Divide equally into four parts. 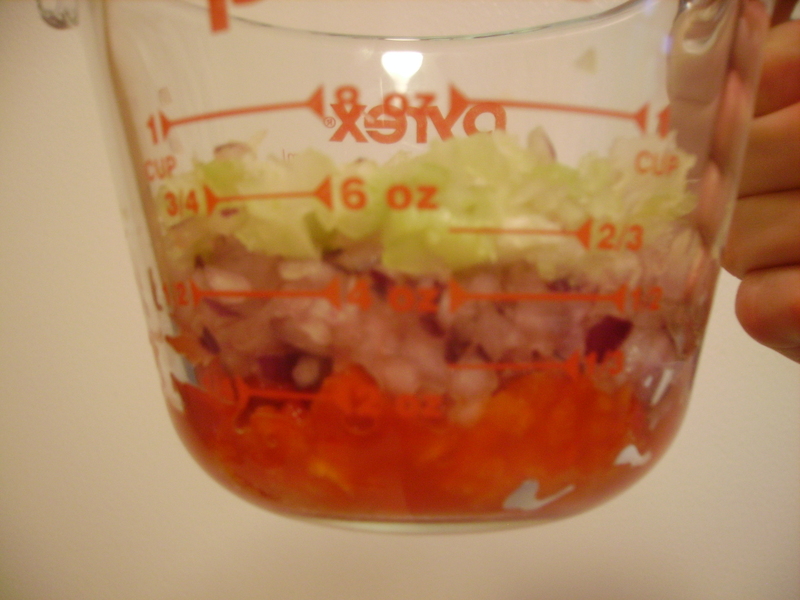 Form into patties; the mixture will be very soft, so handle carefully. Spray a light layer of cooking oil into a skillet. Heat skillet on medium high heat. Carefully set patties into skillet and allow to cook for 3 minutes. Meanwhile, begin toasting hamburger buns. Flip burgers; they should be browned. If the first sides were too dark, be sure to cook the second side a little less. 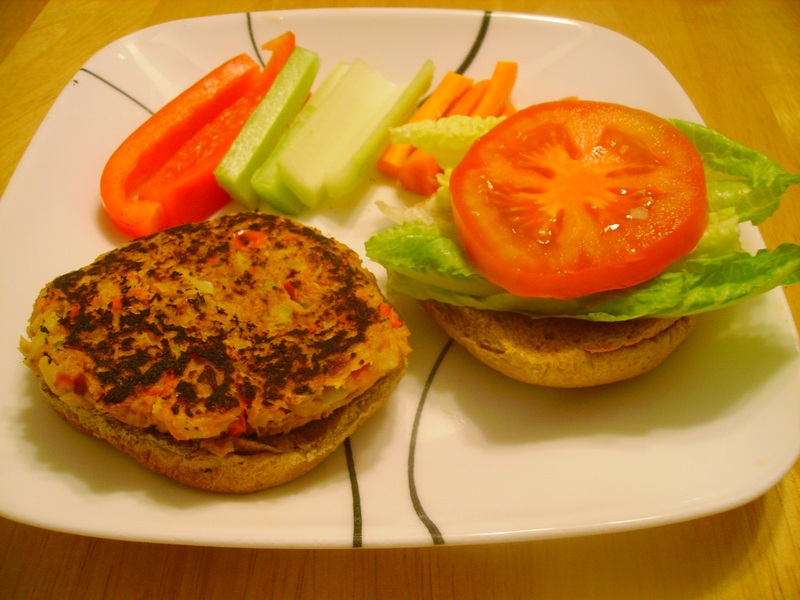 Set burgers onto hamburger buns and top with tomato and lettuce. those look really good! i’m definitely going to try them! small question- should that really be 1 6 oz can of tuna? i used a 12 oz can and it seemed to be the right amount. . . but then again, i left out 2/3 of the veg 😉 i don’t like celery and onion is scary!! I thought it was a small amount of tuna, too, but it worked for me! 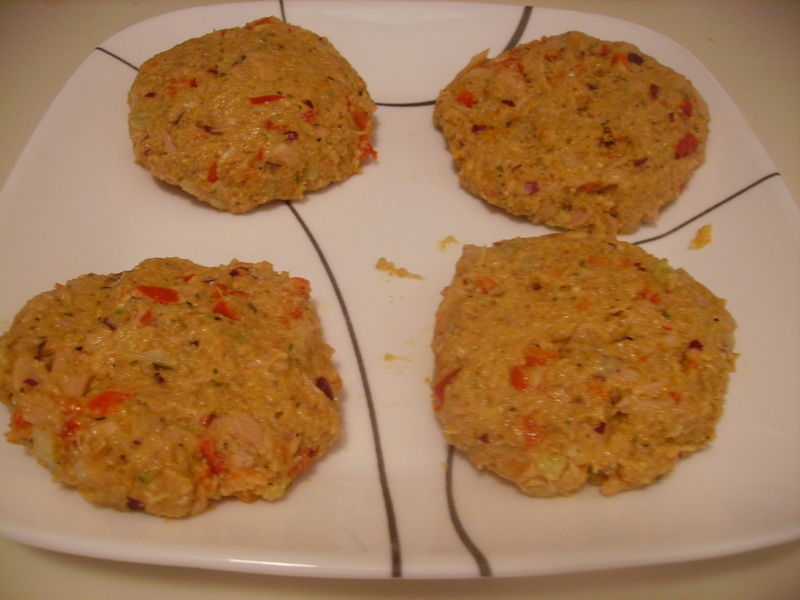 Tasted like tuna, but not overwhelmingly, and it made 4 decent-size burgers. But if you are using less filler, maybe the extra tuna is necessary. 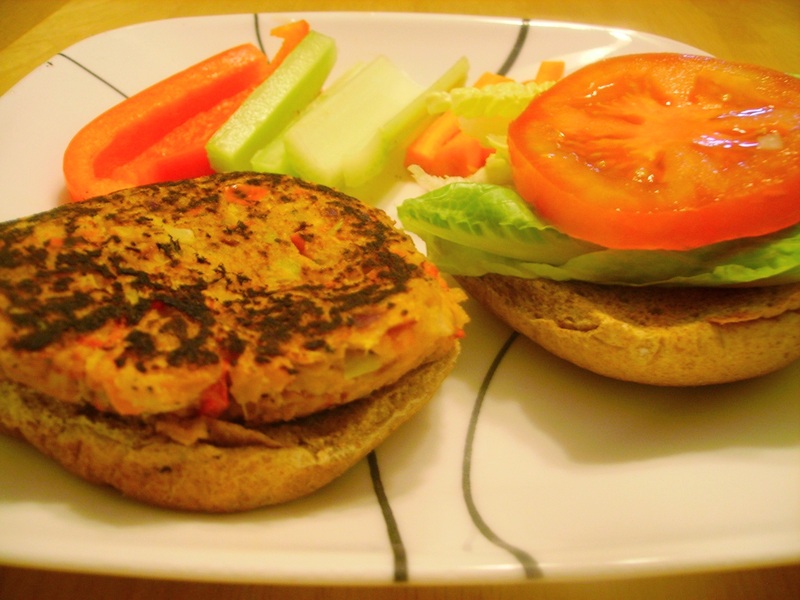 Actually, the extra tuna probably makes the whole mixture a little more dense…mine made a very soft burger. How was the consistency? As far as the two veggies you don’t like, maybe you could use different veg instead? I, personally, don’t taste the celery much at all, but if you don’t like it, maybe you could try grated carrots?